Antionette van Rossum (Miss Holland 1976 and 1978) was born on the island of Texel. It’s one of the small islands in the north of the Netherlands and most of them are really populair amongst tourists. In 1976 she was Miss Noord-Holland and in 1978 she tried to organize her first national beauty pageant in the Netherlands, the Miss National pageant. We are not sure if this pageant ever took place as we can not find any more information about except that she started to organize it. 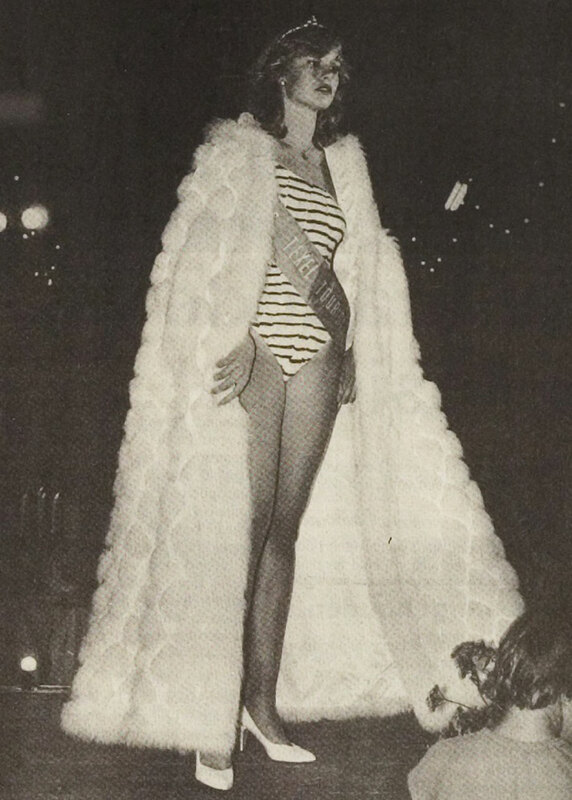 But as this is 80’s saturday, we will tell you about a pageant that Antoinette did in fact organize and this one also took place: Miss Texel 1983. It was for the third time the Miss Texel was organized. In 1981 and 1982 the pageant was organized by another organization in partnership with Panorama magazine. Therefore the whole title of the 1983 edition was Miss Texel Toerist. Like many local pageants only a few girls, 3 of the 12 girls in this case, are from the place the pageant carries the name of.